FLOWERS WITH FLAIR...Offering decidedly different and unique arrangements for every occasion! 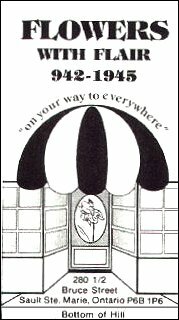 Flowers With Flair has maintained an exceptional reputation for floral design and professional customer service since 1976. With over 38 years of combined experience in the floral industry, we can help you send the perfect floral message. 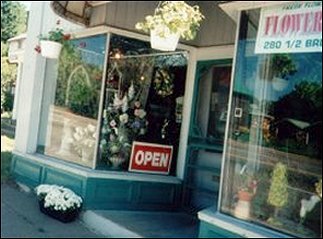 Our shop offers a full line of fresh flowers, green & blooming plants, birdhouses, little angels, crystal vases, picture frames, scented candles, teddy bears, plush stuffed animals and more. We also make specialty gift baskets for mommies and babies. 9:00 am to 5:00 pm Monday through Friday ~ 9:00 am to 3:00 pm Saturday ~ Closed Sunday. We offer convenient daily delivery to all Sault Sainte Marie Hospitals, as well as delivering to Northwood, Arthur, O’Sullivan & Donnelly, and Barton & Kitel Funeral Homes.